Welcome to my new website. I’m a lucky girl. My pal Duke Houston, the pixel pushing master of Houston graphics, did the design, and Sara Smith of Saralorien Design and Eileen Burke-Woodward made it happen. Both these women juggle work with full on family life, making them women women in my book. I tell you, it takes a village to keep an attractive online presence. But here it is, and I love it. I invite you to join me in my excitement. Make a comment, saying something you like about the website and I will put your name in a hat. Then, on August 19th, when the book is officially released, I will draw the winner from the hat. The prize? A copy of “Rest Home Runaways,” of course, in paperback or e-book, winner’s choice. Congrats on the shiny new site! I hope you can come see us in Austin again! Congratulations on the site! Here’s to much success come August 19th!! Cheers!! Terry, thank you! And good luck! Greetings from Toronto. I came to this site through a tweet sent out by Lee Lynch. I’m sorry that I’m not familiar with your work but, your site is very user friendly and the descriptions for your books have me intrigued enough to want to read them. I’m always looking for new adventures via the written word. Ah, the wonderful Lee Lynch! I saw she retweeted this and I was so grateful. Thanks for checking me out, Cecile. And now you see what most don’t, and that is that I am a woman! Ha! I have scared off more lesfic readers with my name, which breaks my heart. Clifford was my grandmother’s name, and I use it with pride. The new website is great. I’m really looking forward to your new book. The excerpt you shared at Laurel Bookstore really whetted my appetite. Thanks, Dar. Hopefully, I can read at Laurel Bookstore again. It’s moving? Yes? I like the site a lot. Very clean and easy to navigate. I also like the topics you’ve seeded the blogs with. In fact, I responded to the one about growing old. Thank you, Charlotte, for checking out my site. It means sooooo much. I will pass on your kind words to those who helped me make it happen. Thanks, Meg! There were a few dust bunnies at first, but we the faboo Eileen and Duke and Sara helped rid us of those pesky creatures. Thanks, Steph! I sure am happy I have such talented friends! Been getting all kinds of help lately, as you well know. That gal pal of yours has been most generous. Great website, Clifford! Love the look and the content. Proud to know you and happy to be inspired by your work. Keep it coming. Can’t wait for your next novel. Hey, thanks Carly. It’s been so nice to be in touch. And guess who I talked to recently? Abby Reifsnyder. It’s been years since she and I have talked. She’s been getting together with Varley and Tom Loder when she goes to Philly. Congratulations, Cliffi. I’ve loved the past ones that I’ve read and I’m sure this will be just as enjoyable. It must be your style that works for me. Hats off to you! Clifford, CONGRATULATIONS on the publication of your latest novel! I can’t wait to read it! Thank you, Karen. I’m pretty stoked. very nice website. I like all the books and reviews to look at. Thanks for the book giveaway. Kas, you are welcome. Thanks for stopping by. I love the design of the website. The cover of your new book really makes it pop. Hope I win a copy! Hey, thank you, Sally. I love it too. I like the site. It shows pictures really well and the words are easy to read. Two pluses in my book. Another plus is that the tags are easy to find. Music to my ears, thank you. Lovely user friendly website and I agree with some of the other posts- the artwork really pops on your site! Huge fan of your books and looking forward to the latest addition! Keep them coming please! Will do, Bonnie. I will pass the words along to those who made the eye candy. First time on your site and I am very impressed. It is easy to navigate. Pleasing to look at and engaging. Congrats! Thanks, Anita. Hope you come by again sometime. I liked that the books were scrolling on the home page- that was pretty cool. 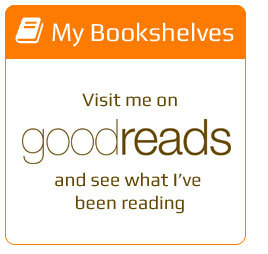 I also think it is pretty neat that you link into Goodreads and not just the typical social media. Thanks for saying that about the Goodreads. It’s such a unique social site. I bet I know what it is! I like the new webpage! Looking forward to the new book! Hope you pick me! Marie, wish I could say “I will” but that wouldn’t be fair. hee hee. Good luck. Nice looking website! Looking forward to your new book.